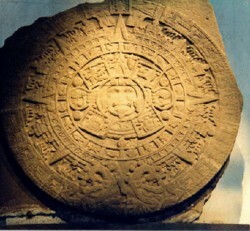 I am born in 1959, on the same day that the Mayan Calandar supposedly ends. 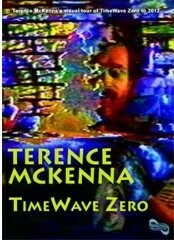 I discovered this through Terence McKenna, who discovered it while working on his model of time, Timewave Zero. His model also predicts an end-of-time on December 21 of the year 2012. McKenna’s ideas about time are interesting. He sees time as a fractal structure. There is a basic pattern, which repeats itself on different scales. The pattern is an up and down of possibilities: there are times when more change is possible, and there are times when less change is possible. 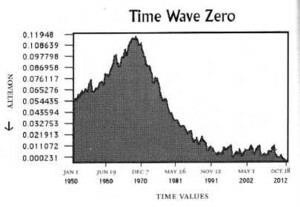 And, according to his model, these patterns or periods become exponentially shorter over time. That means that in every next period of half the length of the previous period, there are the same amount of changes. Or, in other words, changes occur exponentially faster over time. This means that the world will undergo more change in its final moments than it underwent in the billion years before. And half of all the changes will occur in the last day or even in the last minutes. The limit of this process is the moment where everything is possible, and in McKenna’s model this moment is December 21 of the year 2012. To have your birthday on a day like that is weird. Especially when you have a firm tendency to megalomania. December 2012 is only five years away from today. I no longer believe any end-of-time theory. I think that the only real end-of-time is insight . But I don’t know of course, McKenna might be right. And maybe it does mean something that the Mayan calendar ends in 2012. The idea that we will find out in five years still excites me, even if I no longer believe the theories that are going around on these subjects. And in case you are not familiar with all this, believe me: it is a much more than you might think! Just google 2012 and take the rest of the day off. 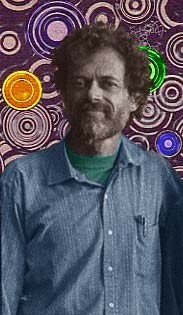 Of Terence McKenna there are hours of lectures available as mp3’s. I am still looking for mp3’s of his book, True hallucinations , read by the man himself. They seems these exist, but so far I have never found them. Here is a Happy Birthday song from a cassette that I got long ago from John van Dijk. Just like McKenna and the man on the tape, he did not live to see whatever (not) happens in December 2012.
thats soooo true what matthew said and the world will only end when GOD wants it to, not when humans THINK it will!!!!!!!! !